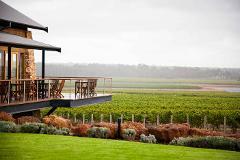 Hillarys to Millbrook Winery Gift Voucher. Minimum 2 passengers to book this flight. 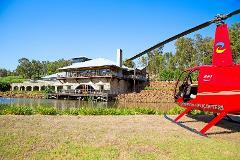 Arrive at the beautiful Millbrook Winery in Jarrahdale in Style. Three course meal and glass of wine for two people included. Add a Perth Scenic when booking for $190pp .Ideal tour for a marriage proposal! Price per person. Jandakot to Sandalford Winery Tour Gift Card Min 2 people. Price per person. En-route to the renowned Sandalford Winery in the Swan Valley, enjoy the breathtaking views of the Swan River and Perth City. Indulge in a 3 course meal with a complimentary glass of wine. Approx 1hr flight time return. 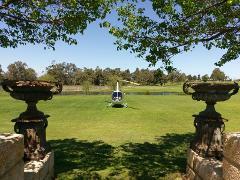 Arrive in style at Sandalford winery or another winery of your choice in the Swan Valley. Includes complimentary three course meal and a glass of wine for 2 people. Ideal tour for marriage proposals! Price per person. Jandakot to Watershed Winery Margaret River Gift Card. A Minimum of 2 people is required to book this flight. Experience the breath taking views of the south west by Helicopter.Ideal tour for a marriage proposal!! Lunch included. Price per person. A minimum of 2 people required to book this flight.